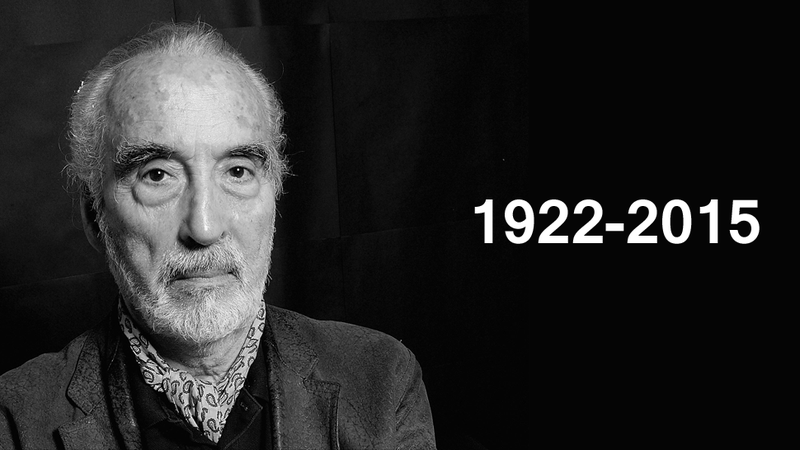 The legendary British actor Sir Christopher Lee — known to many for his roles as Dracula, Scaramanga in The Man With The Golden Gun, Saruman in The Lord of the Rings and Count Dooku in the Star Wars prequels — has died. Lee, who was suffering from respiratory problems, passed away in Hospital on Sunday. A veteran of World War II, Lee’s acting career began in the late 1940’s, but shot to stardom in the following decade thanks to several starring roles in the Hammer Horror film series, including Frankenstein’s Monster, the Mummy, and of course, Count Dracula — a role he would go on to play 10 times in his long career before finally laying it to rest in the 1970’s. With over 280 acting credits to his name, Lee’s career is far too dense and varied to list in its entirety, but he was defined by his villainous roles: aside from Dracula, he is of course known for roles like Lord Summerisle The Wicker Man (a role Lee considered to be his finest), Francisco Scaramanga in the 1974 James Bond film The Man With The Golden Gun, and more recently as Saruman the White in both The Lord of the Rings and The Hobbit trilogies, as well as Sith Lord Count Dooku in Attack of the Clones and Revenge of the Sith. He was knighted in 2009 for his services to Drama. Lee also developed an unlikely career late in life — that of a heavy metal vocalist. Although the actor had worked with Metal Bands since 2005, it wouldn’t be until 2010 that he released his own Heavy Metal album, Charlemagne: By The Sword and The Cross, with a followup in Charlemagne: The Omens of Death releasing in 2013. He also became known for releasing Metal versions of Christmas Carols in recent years. Sir Christopher Lee is survived by his wife, Birgit Kroencke Lee, and his daughter, Christina Erika Lee. Our condolences go to his family.